Paved surfaces cover tens of thousands of square miles in the United States. Almost all are impervious, collecting pesticides, fertilizers, oil, metals and other pollutants. 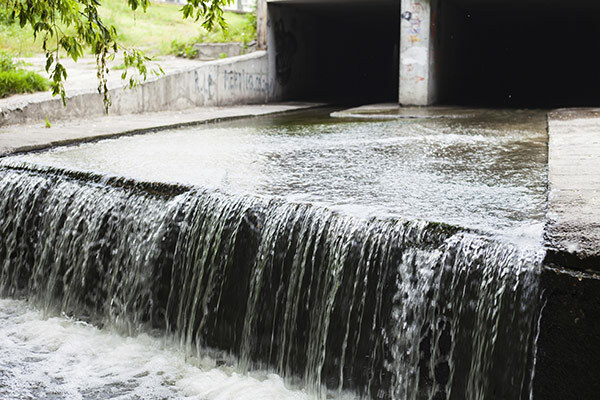 The resulting runoff is one of the biggest threats to water quality. On the west side of Washington State, abundant rain and a surging urban population create an ideal observatory for the problem. Working south of Seattle at Washington State University’s Research and Extension Center in Puyallup, researchers at the Washington Stormwater Center are working to address water-quality issues and develop effective, evidence-based management practices and principles. Permeable pavement surfaces and various catchments at the center keep rainwater from washing into a nearby creek. At the same time, they help WSU researchers see how well the water is treated by the pavement and underlying gravel. Rain gardens and mesocosms— plastic tanks filled with different soil mixes—take advantage of the soil’s ability to retain and treat water. Researchers are using them to study which soil blends are better at removing pollutants. John Stark, director of WSU Puyallup and the Washington Stormwater Center, leads the research and outreach programs that address stormwater issues. In 2015, aquatic ecotoxicologist Jen McIntyre, Stark’s post-doctoral scientist working with researchers from NOAA Fisheries and the U.S. Fish and Wildlife Service, found that a simple column of common soil can reverse the toxic effects of urban runoff. Untreated, the water would quickly kill young coho salmon and their insect prey. The columns of soil are similar to rain gardens that homeowners and municipalities are installing around Puget Sound. With the help of WSU Extension, residents and a local non-profit are working to have as many as 12,000 rain gardens in the region by 2016. The work can make a major contribution towards reducing flooding, preventing pollution, and aiding the recovery of endangered and threatened salmon and steelhead. Applied nationally and internationally, this and other forms of low-impact development researched at the center can help ensure clean water and habitats for generations to come.